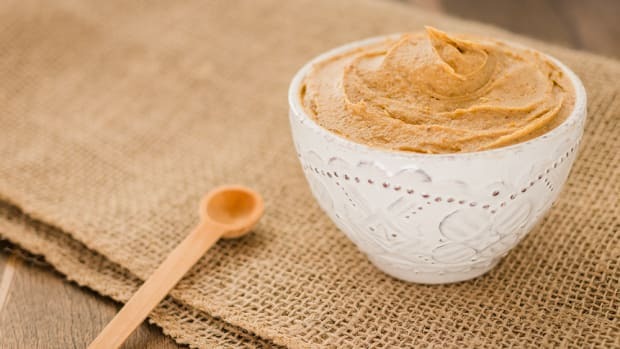 This vegan peanut butter mousse is fluffy, airy, sweet, smooth, and just about every other adjective you’d use to describe the dessert of your dreams. If that’s not reason enough to make it, then get this: you only need four ingredients and 30 minutes to make it. This vegan dessert is the perfect treat to serve after making a labor-intensive dinner. 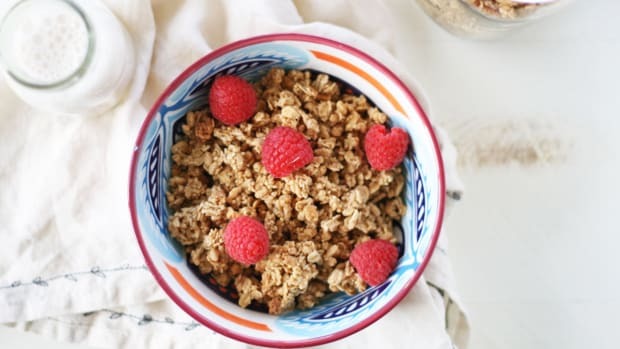 The minimal effort will be the break you needed while your dinner guests won’t even realize it was so quick to make. 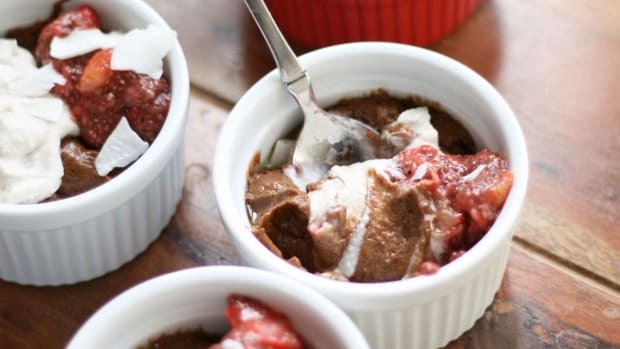 The key ingredient in this vegan mousse is silken tofu. Silken tofu is extremely neutral in flavor and blends up to be super smooth. 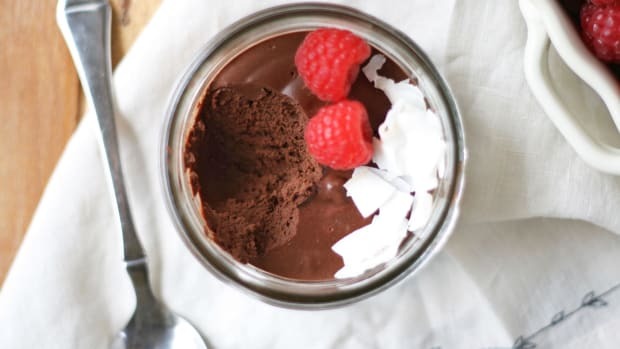 It makes the perfect base for mousse and tastes delicious once mixed with sweetener, peanut butter, and a pinch of sea salt. 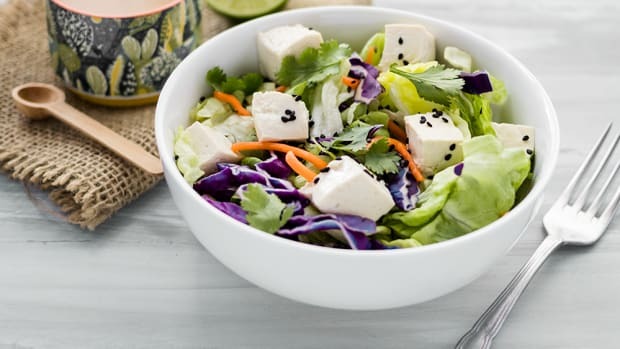 It’s absolutely essential though that you use silken tofu and not the blocks of water-packed tofu in the refrigerated section of the grocery store. Your mousse will taste terrible if you use that. I know from experience, unfortunately. When I first went vegan, a few years back, I made that very mistake. I was trying out a vegan pudding recipe that used tofu and I didn’t realize that silken tofu was the shelf-stable type. Instead, I bought a block of soft, water-packed tofu. So I proceeded to throw a whole block of cold, bumpy tofu in the food processor with some sweetener and the results were truly terrible. But a few years later and after experiencing success with silken tofu in a sour cream recipe, I realized tofu-based desserts deserved another chance. Once I bought the right type of tofu, it was proven that tofu-based desserts can actually be delicious! 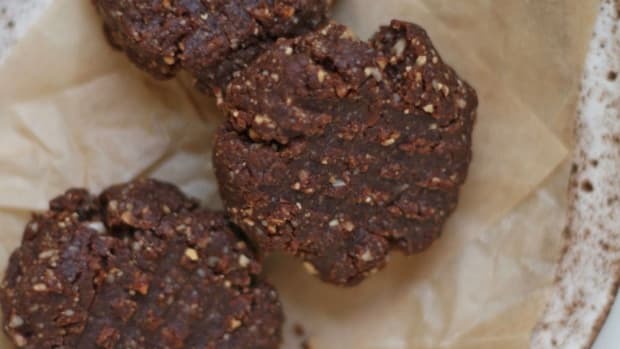 So, grab your box of silken tofu, a jar of peanut butter, and some pure maple syrup! 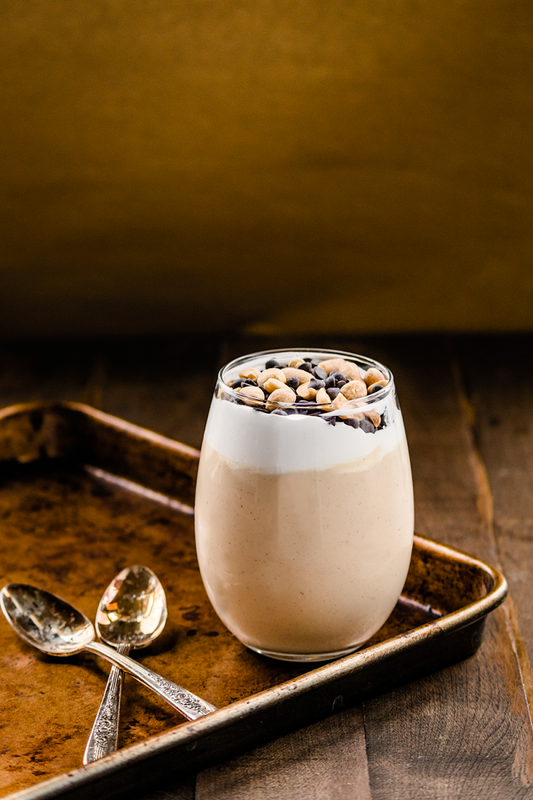 This vegan peanut butter mousse is about to wow you. 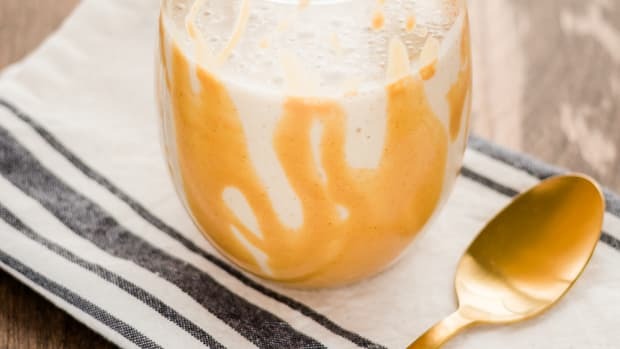 Add silken tofu, peanut butter, maple syrup, and sea salt to a food processor. Process for about one minute, stopping to scrape down the sides occasionally. 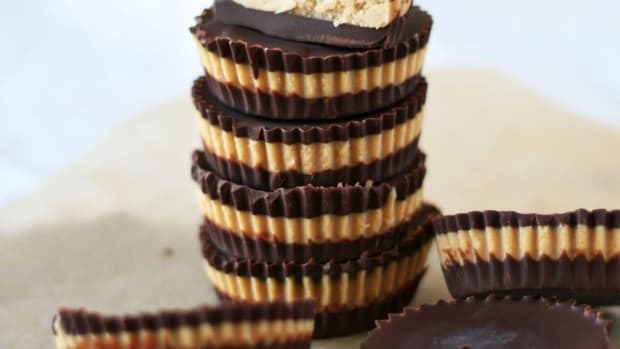 Transfer the peanut butter mousse to an airtight container. Place in the refrigerator to chill for about 20 minutes. 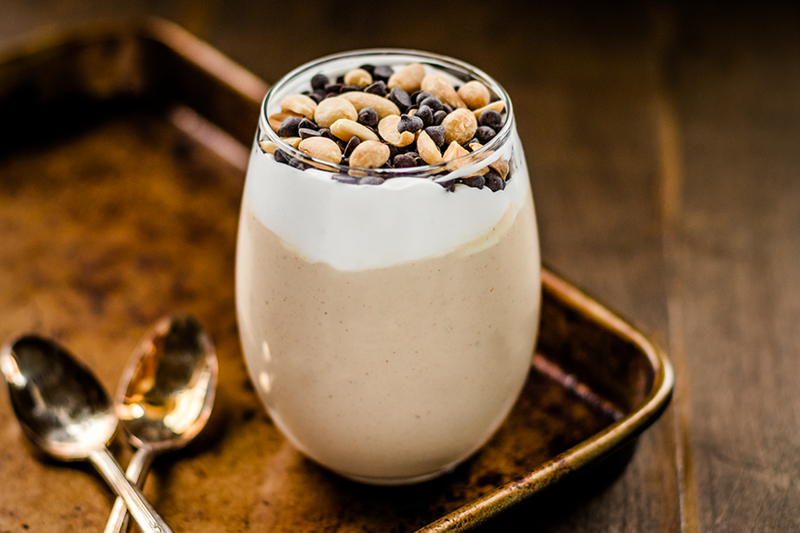 Add peanut butter mousse to glass serving dishes and top with coconut whipped cream, dark chocolate chips, and peanuts. Serve immediately and enjoy!